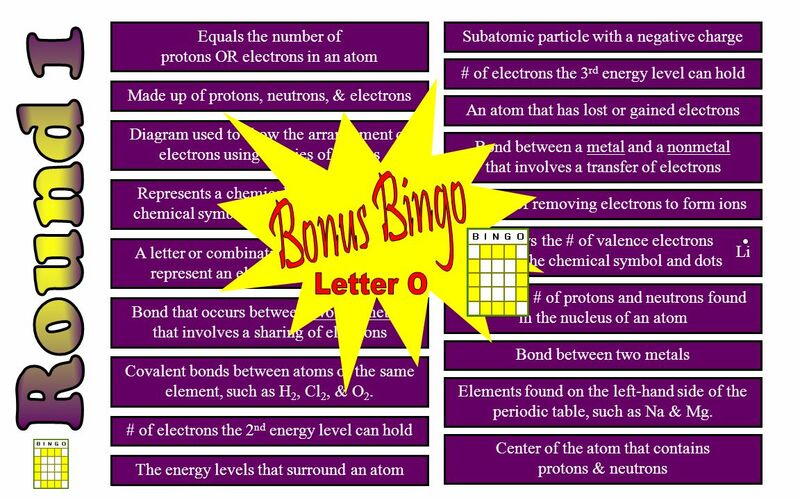 Chapter 1 Bingo Review Chemistry of Matter. 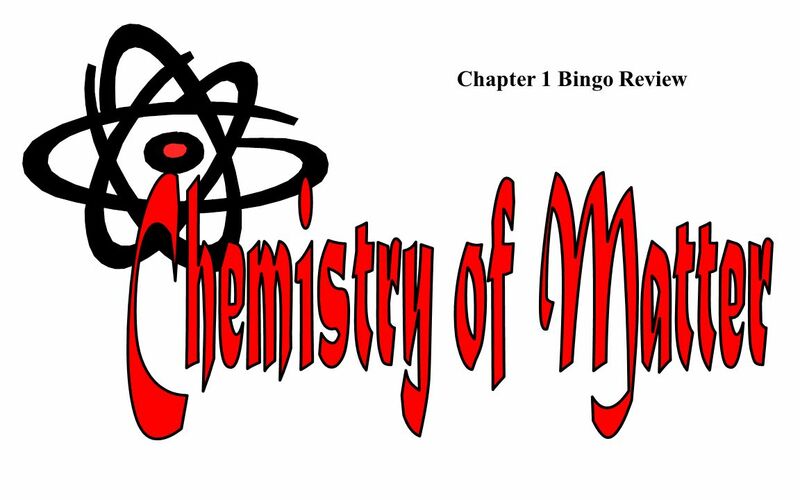 Download ppt "Chapter 1 Bingo Review Chemistry of Matter." 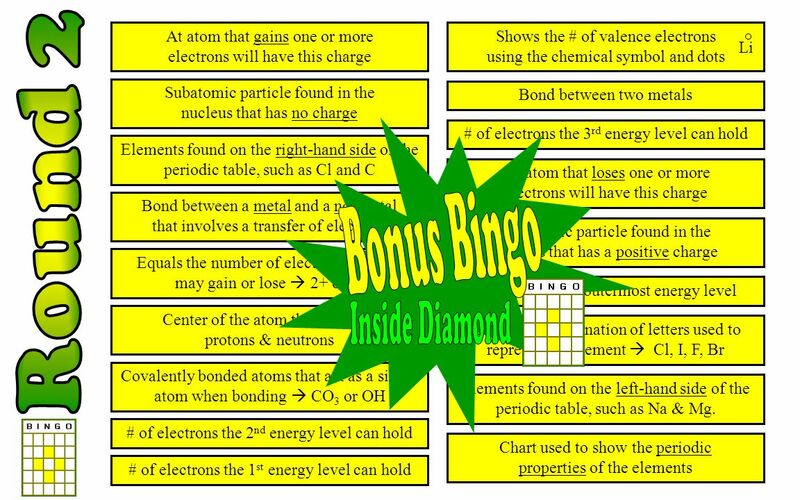 Atomic Structure Chapter 3.1. Subatomic Particles Proton +1 charge, found in the nucleus Neutron No charge, found in the nucleus Electron -1 charge, found. Ionic Bonding. What is Ionic Bonding? One type of bonding where valence electrons transfer from: METAL atom to a NONMETAL atom ◦ ONLY VALENCE ELECTRONS. The Nature of Matter Section 5-1. Science and Tech An atom is the smallest particle of an element that has the properties of that element.  1. 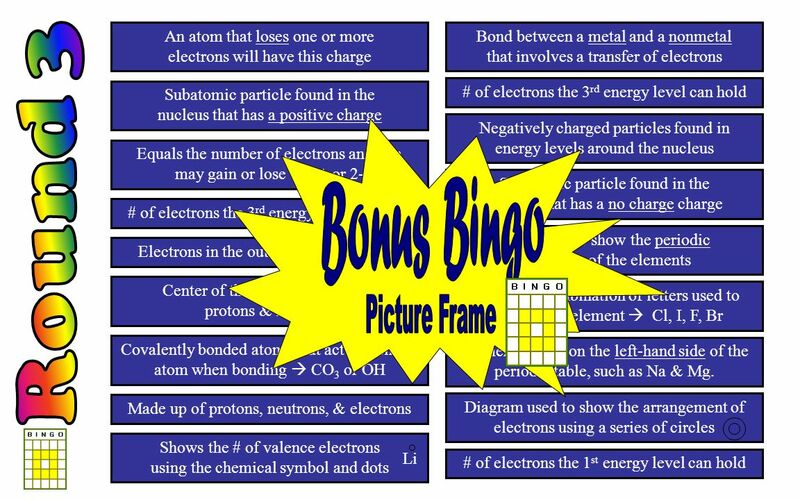 It helps to have identified the number of protons, neutrons & electrons an atom has before you try to draw it. You can find this by using this by. Atoms and the Periodic Table. Atoms are the basic building blocks of all matter. Atoms are the basic building blocks of all matter. Atoms are made up. Looking for Patterns in Chemical Reactivity. Elements and Compounds An element is a pure substance that cannon be broken down into simpler substances. Ionic Bonding & Covalent Bonding. Ionic Bonding Ionic Bonding – TRANSFER of electrons Metals + Nonmetals = Ionic Bond.